Long, slow, cooking will guarantee the best results. This is delicious. 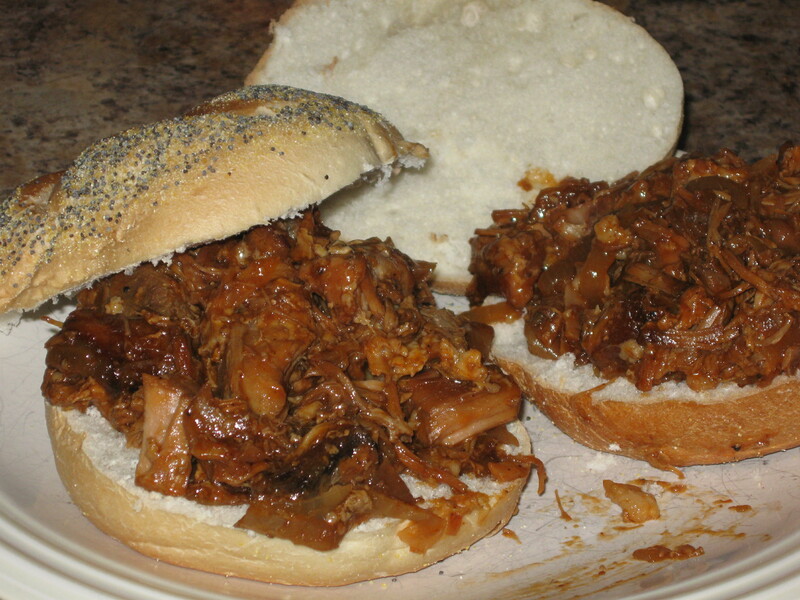 Spray your slow cooker with cooking spray and place 1 of the sliced onions in the bottom, add pork, garlic powder, salt, pepper , water and then add the other sliced onion on top (you’ll use the 3rd onion later). Cover and cook on LOW for 8 hours or HIGH for 5. 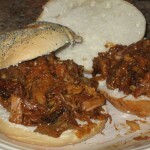 Drain liquid, coarsley chop up the meat, discard fat, place prk back in slow cooker, add BBQ sauce then the last onion. Cover and cook on LOW for 4 more hours. Serve on large rolls.